The U.S. Surgeon General’s report on electronic cigarettes issued today delivers a clear and unmistakable message to our nation’s policy makers: E-cigarettes pose a serious threat to the health of kids and young adults, and we should be doing everything we can to prevent young people from using these products. This report is the government’s first comprehensive review of the public health impact of e-cigarettes on U.S. youth and young adults. It finds there is sufficient scientific evidence to conclude that e-cigarettes raise serious public health concerns for young people, and it provides more than enough evidence to support strong action at the federal, state and local level to prevent and reduce e-cigarette use among youth and young adults. Kids are using e-cigarettes in large numbers. E-cigarettes are now the most commonly used tobacco product among youth, surpassing conventional cigarettes, and more than 3 million middle and high school students were current (past 30-day) e-cigarette users in 2015. Youth use of products containing nicotine in any form, including e-cigarettes, is unsafe, can cause addiction and can harm the developing adolescent brain, disrupting attention and learning. E-cigarette aerosol is not harmless. It can contain harmful and potentially harmful constituents, including nicotine. In one of its most troubling findings, the report finds that while more research is needed, e-cigarette use is “strongly associated” with the use of other tobacco products among youth and young adults, including conventional cigarettes. This finding raises serious concerns that e-cigarette use could be undermining the tremendous progress our nation has made in driving down smoking and other tobacco use among youth. The report also makes clear that the skyrocketing youth use of e-cigarettes is no accident. It stems directly from the irresponsible actions of e-cigarette manufacturers, including the use of sweet flavors that appeal to kids and marketing themes and tactics similar to those long used to market conventional cigarettes to kids. Research has found that more than 85 percent of current youth e-cigarette users use flavored e-cigarettes, and flavors are the leading reason for youth use. This report emphasizes the need for the Food and Drug Administration’s new rules for e-cigarettes that took effect in August. It shows why these rules must be strengthened and not weakened as would happen under a proposal pending in Congress. In light of this Surgeon General’s report, the FDA should strengthen its rule by prohibiting flavors and marketing that appeal to kids. 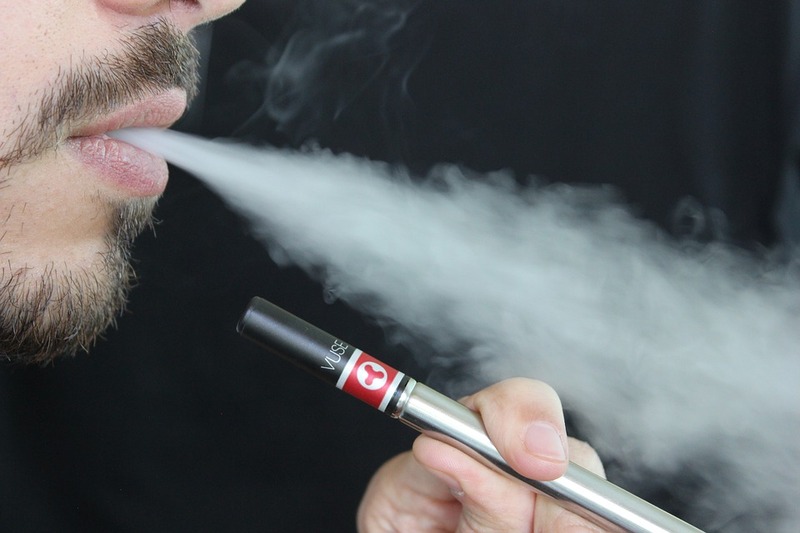 The Congressional proposal, approved as part of the House appropriations bill that funds the FDA, would greatly weaken FDA oversight of e-cigarettes that were already on the market when the FDA’s rule took effect in August. This provision would make it much harder for the FDA to take sweet, kid-friendly products off the market and make it much easier for manufacturers to continue introducing such products. Today’s report shows why Congress must act to protect kids, not e-cigarette makers. The Campaign for Tobacco-Free Kids also strongly supports the other recommended actions in today’s Surgeon General’s report. These include incorporating e-cigarettes into smoke-free policies; enacting and strongly enforcing laws that raise the tobacco sale age to 21 for all tobacco products, including e-cigarettes; sponsoring high-impact media campaigns to educate the public on the harms of e-cigarettes among young people; and expanding research efforts related to e-cigarettes. E-cigarettes could benefit public health if they are found to be effective at helping smokers quit completely, properly regulated and responsibly marketed to adult smokers. However, the evidence to date is limited and inconclusive as to whether e-cigarettes are effective at helping smokers quit. Even as the research continues to determine whether e-cigarettes can have a public health benefit, this Surgeon General’s report makes clear the need for strong and immediate action to prevent kids and young adults from using e-cigarettes.